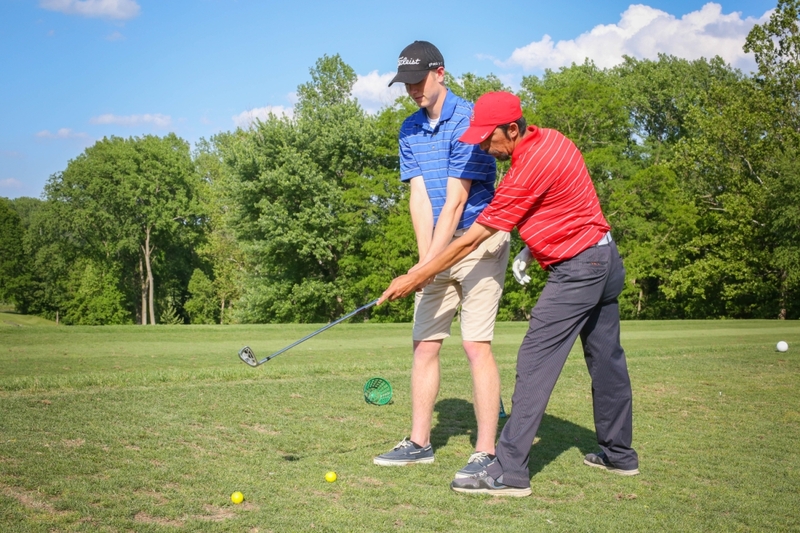 Golf Instruction should be FUN and fit the goals of the student. To help you improve and enjoy your golf game. We offer one-to-one and group instruction. You have your own professional working directly with you for your entire session. Our goal is to combine the best in instruction with an affordable cost. Our unique system of learning is successful because we work with you, enhancing your strengths and improving your weaknesses through sound fundamentals. Goals and suggested practice routines are geared to your temperament, your ability and your desire. Most important you will have friendly mature instructors who love to teach the game as much as you love to play it. Click here to e-mail Tim a question! We even offer day camps for juniors and those little ones. Just click one of the links below to find out more.